The ever popular SH Figuarts Naruto series continues with the long awaited favorite, the Naruto Shippuden Gaara SH Figuarts Action Figure! 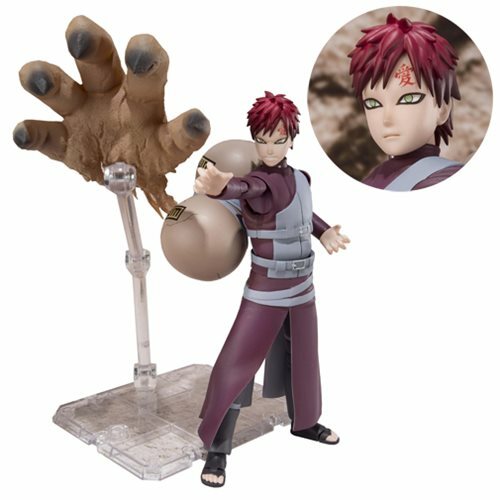 With his gourd for carrying his supply of chakra-infused sand, Gaara comes with a large sand effect in the shape of a clawed hand. Set also included 4x interchangeable hands, 2x interchangeable face parts, folded arm part, sand effect, gourd, and stand. Item measures approximately 5 1/2-inches tall. Ages 15 and up.